Illegal Immigrant Deported Multiple Times Found Not Guilty in Fatal Shooting - Word Matters! 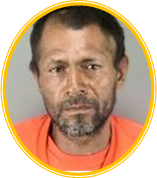 Steinle was shot in the back in July 2015, as she walked with her father on San Francisco’s Pier 14, near Embarcadero and Mission streets. Less than an hour later, Garcia Zarate, a seven-time felon, was arrested about a mile away from the shooting scene.